ST. GEORGE — With active transportation — travel by foot or bicycle — gaining momentum in recent years, cities across the state and the nation have adopted plans supporting the needs of pedestrians and cyclists. 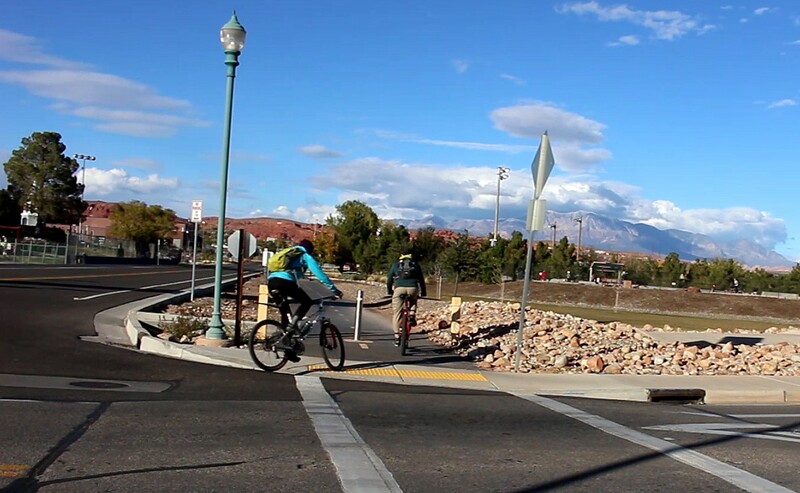 Last week, the City of St. George approved a plan to assess the city’s current infrastructure and future needs in relation to active transportation. The new plan is the first of its kind put in motion by the City of St. George, and got underway Nov. 19 after the City Council approved a contract with Alta Planning and Design Inc. The company will assess the city’s current resources and future needs as well as identify where connections can be made in the city’s existing trail system. “They specialize in active transportation planning and how that integrates in with transportation — basic transportation — planning and communities,” Mortensen said. The price tag attached to the assessment and the plan is $50,000 with the cost split between the City of St. George and the Dixie Metropolitan Planning Organization. Alta will be coordinating with the city’s Active Transportation Committee as it moves forward with the assessment. 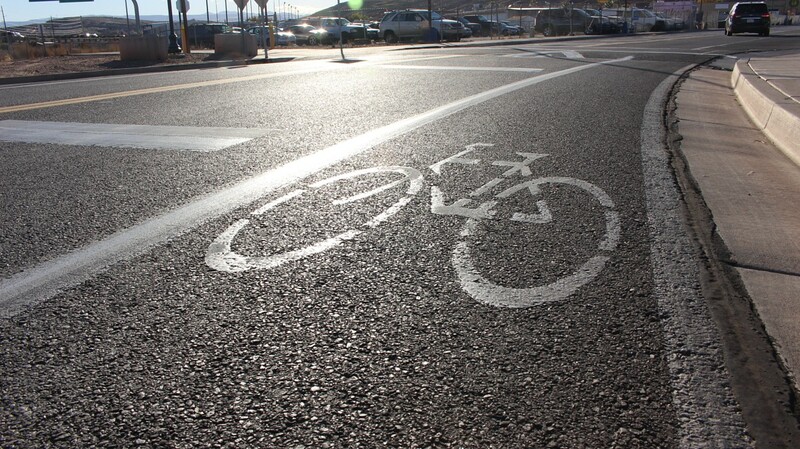 The 13-member committee was formed last year by St. George Mayor Jon Pike to address the growing needs of pedestrians and cyclists in the community. Mortensen, who is an avid cyclist, was appointed to the committee as one of the city’s representatives. Others on the committee come from different city departments, cycling groups, and people with backgrounds in business, medicine, and education. An increasing number of bicycle racks have appeared around town over the past months, one of the things the committee has helped set in place. In some cases, this has been done in coordination with Eagle Scout Projects. 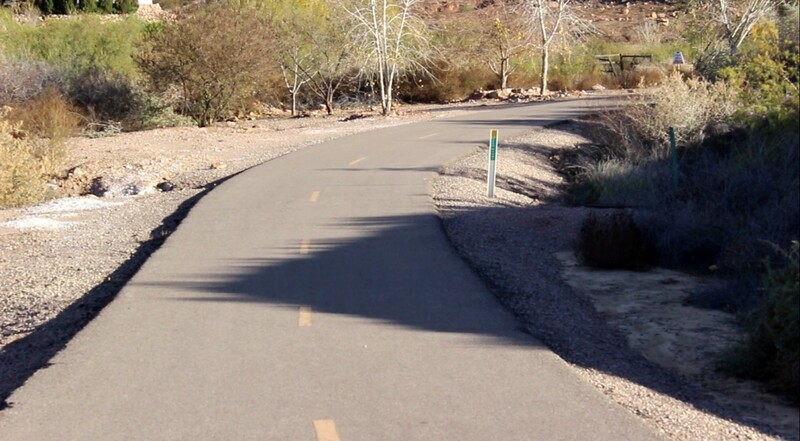 St. George — and Washington County overall — has become known as a mecca for runners and cyclists through athletic events like the St. George Marathon, Ironman competitions and others. St. George and neighboring cities have also earned the “Road Respect” designation for promoting cyclists’ safety and having cyclists-friendly infrastructure. Santa Clara, Hurricane, Ivins and Washington cities joined the distinction earlier this year. 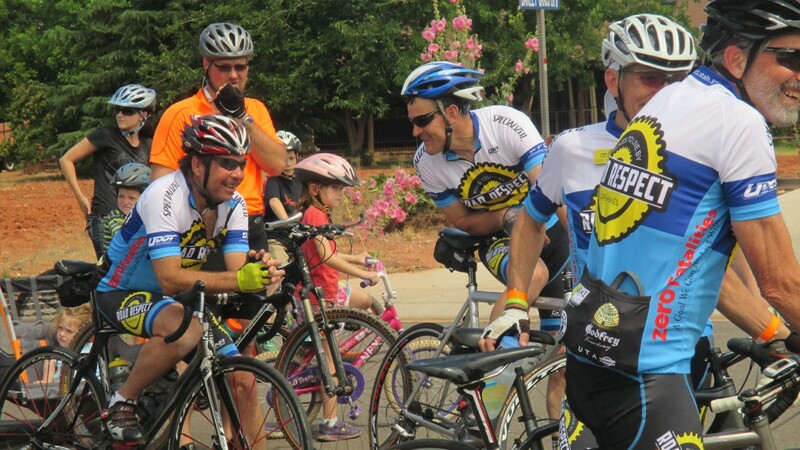 The “Road Respect Tour” crisscrosses the state promoting awareness and safety between cyclists and motorists. One of the big aspects of the tour is the reminder that motorists need to maintain a distance of 3 feet or more from cyclists where possible. Cyclists are also told to do their part in obeying traffic laws. “So many people are recognizing the benefits of cycling,” said Craig Shanklin, president of the Southern Utah Biking Association and also a committee member. He said the members of the Active Transportation Committee are excited for the assessment and upcoming creation of an active transportation plan. “This plan will really help the city over the next generation in developing infrastructure,” Shanklin said. In the long run, the plan is meant to create interconnectivity across the city so people can walk or bike to school, work and commercial centers without having to rely on a car, Mortensen said. As well, it provides various benefits to the community, he said. “The whole premise behind active transportation, and why we’re involved, is it creates healthy people, it creates a healthy environment, it creates a healthy economy, and it creates an opportunity for mobility for everyone — every demographic in our community,” Mortensen said. Not every demographic is able to rely on the use of a car, he said, but active transportation is available to everyone. Future residential and commercial development is anticipated to be built around active transportation needs, Mortensen said. Many people who work in the tech industry — an industry city officials want to attract to St. George — tend to use active transportation and mass transit to get to and from work. The city needs to be in a position to cater to that type of culture if it wants to bring in those jobs, Mortensen said. A part of the active transportation plan involves better integration with SunTran, the city’s existing mass transit system. As active transportation generally involves the “first and last mile” of a mass transit route, Mortensen said, the two go together. “We’re very much working hand in hand with SunTran Planning,” he said. 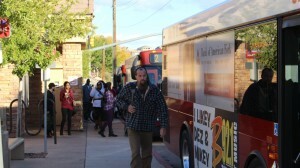 The SunTran bus system has seen increasing ridership since its introduction in 2003. Around 60,000 rides were taken the first year, with over 500,000 being taken in 2012. 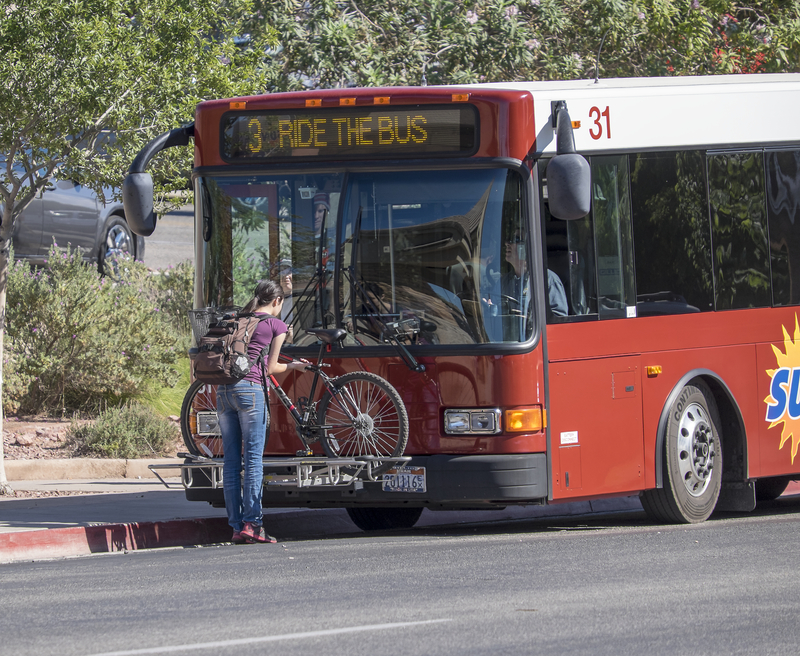 New routes have been added to the transit system in the last year, including the Bloomington neighborhood of St. George and Ivins City. A route into Washington City is currently under development. SunTran Transit Manager Fred Davies, who is also a member of the Active Transportation Committee, said the transit system is working on making some of the routes more direct, instead of the 40-minute loops they currently travel. This is anticipated to make it easier for commuters to get from point A to point B and to shave off some travel time. The move is also anticipated to increase use of mass transit among the active transportation crowd, Davies said. A draft of the plan is expected to be presented to the City Council around late April or early May 2016, Mortesnen said. A finalized plan is expected to be produced and potentially adopted by June 2016. The public will have multiple opportunities to comment on the plan early next year, he said. One prime opportunity will be during the annual “Dixie Transportation Expo,” which usually takes place in February. “A big part of this plan is public comment,” Mortensen said. Planning for active transportation is a necessity for cities in the 21st century, Mortensen said. I find this comment by Marc Mortensen to be a little odd: Not every demographic is able to rely on the use of a car, he said, but active transportation is available to everyone. No, Mr. Mortensen, “active transportation” is not available to everyone. Although there are studies underway to improve public transportation and secure a possible (and much needed!) bus route from St. George to Springdale/Zion, active transportation seems be getting the lion’s share of interest, action and publicity while those who are disabled, too old, or low income seem to be getting left by the wayside. If Mr. Mortensen’s view is shared by all leaders in this county, those who need them most are being left by the side of the nicely bike-laned and trailed roads. No, active transportation is not available to everyone, not by a long shot. You have people that cannot drive and have to go to the DMV to renew their ID cards. it’s 30 dollars for a cab to the DMV from St George. and another 30 dollar cab fee to get back home. hey Mr Mortenson where is their public transportation ? they must all be blind and not see the public transportation that is AVAILABLE TO EVERYONE eh ? The $1.2M spent on bike tunnels under SR18/Snow Canyon Pkwy is indicative of money wisely spent on “active” transportation.